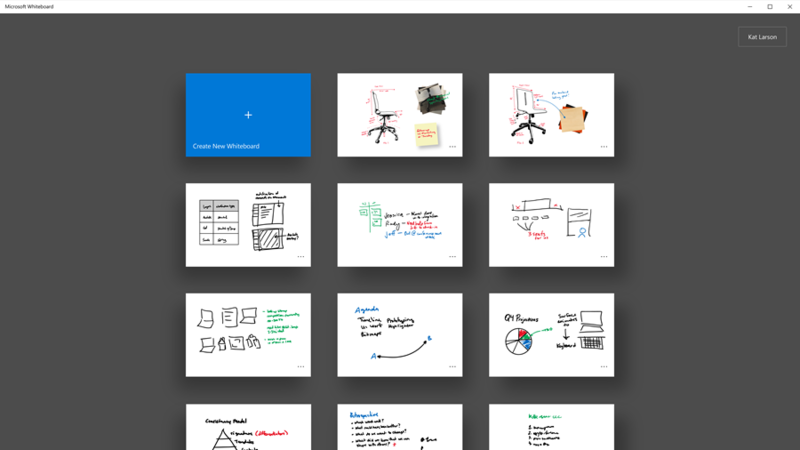 Microsoft Whiteboard is now generally available for Windows 10, coming soon to iOS, and preview on the web. To learn more, please visit this Tech Community blog. 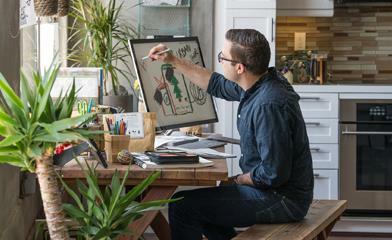 Today, we are gradually rolling out the Microsoft Whiteboard Preview app—a freeform digital canvas where people, ideas, and content can come together for creative collaboration—available for download on Windows 10 devices. * Microsoft Whiteboard Preview is built for anyone who engages in creative, freeform thinking before getting to their final output. It’s designed for teams that need to ideate, iterate, and work together both in person and remotely, and across multiple devices. In the course of our private beta, we saw startups use it to put together images, mockups, and notes as an inspiration board for their next big idea. We witnessed marketing agencies use it in online meetings as they work with clients on product designs in real time. And our team uses it to diagram engineering plans, with remote participants filling in their respective areas on the same working canvas. Ultimately, we see Microsoft Whiteboard Preview as enhancing how people go from personal ideation, team brainstorms, and group discussions to their finished products. The limitless surface ensures that imagination has room to grow and provides space for everyone’s ideas. Bring in teammates—whether they’re across the hall or in a different part of the world—with real-time collaboration across multiple devices. You can see where everyone is on the board and the updates they’re making—whether they’re adding images, putting up sticky notes, or creating diagrams. Now even remote workers can easily join in and contribute to the discussion. With the preview of Microsoft Whiteboard, you can use intelligent ink that recognizes your freeform drawings and turns them into standard shapes, so it’s easy to create great-looking tables, diagrams, and flowcharts. And unlike traditional whiteboards, the app automatically saves your boards, so you can pick up where you left off or share links to your boards, so others can build on top of your work. * No need to take photos of your canvas or email photos to others when you need to get them up to speed. 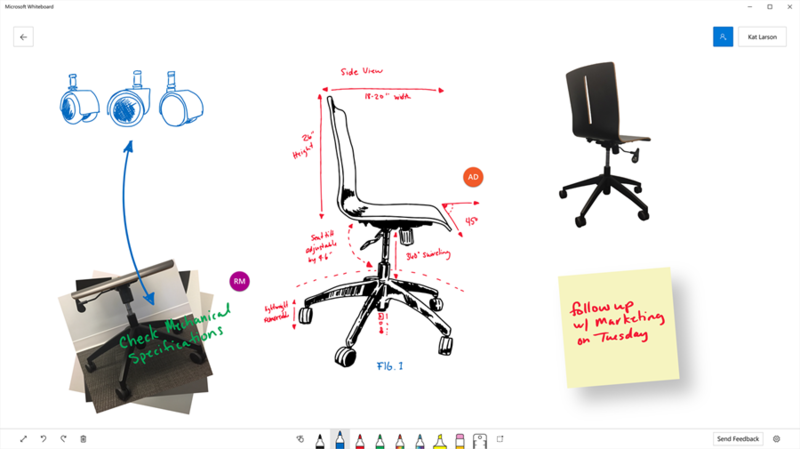 We’re truly excited for you to try out the Microsoft Whiteboard Preview as we think it will help you unlock creativity and harness the power of your teams. We look forward to receiving your comments, suggestions, and feature requests via the Windows Feedback Hub, which you can access from within the app. *The Microsoft Whiteboard Preview is rolling out to all English versions of Windows 10 within the next 24 hours, and will roll out to additional languages in the coming months. The app is free to use for anyone with a Windows 10 device, but one participant with an Office 365 personal, work, or school account is needed for multi-party collaboration. For SurfaceHub customers, the Microsoft Whiteboard Preview will eventually replace the native whiteboard app currently running on your SurfaceHub. In the meantime, you can install the preview of the Microsoft Whiteboard alongside your existing app.